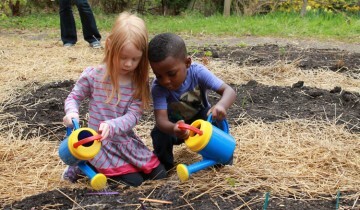 Hands-on activities and outdoor games introduce habitat concepts and the busy community of birds, insects, plants, and animals that live in our gardens and ravine. Students will learn the differences between rocks and minerals as they hike through Edwards Gardens and the Wilket Creek ravine. A game will familiarize students with the rock cycle and the differences between igneous, metamorphic, and sedimentary rocks. And, students will put their geological knowledge into practice by attempting to identify rocks found in the ravine.